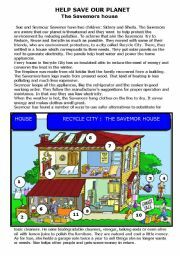 A comprehension text about The Savemors who moved to Recycle City and changed their life style to help protect the environment. 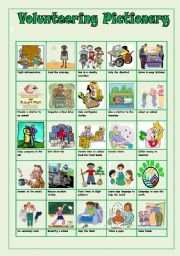 Questions and pictures will help the teacher check the pupils´understanding. 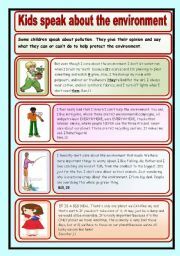 This reading comprehension will allow the pupils to discover what other kids think about the environment and what some of them do to help protect it.Varied comprehension questions will help the pupils achieve that. 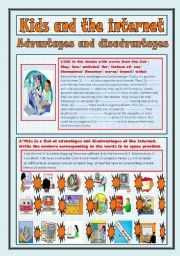 Some of the internet advantages and disadvantages are given in a fill in the blank exercise. 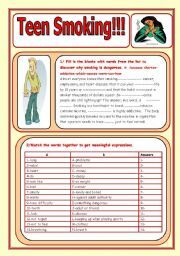 In a second exercise pupils are asked to match other advantages and disadvantages with the pictures.In a third exercise they match words together and in the last they classify the advantages and disadvantages in different columns. Pupils understand what a mobile phone is by filling in the blanks. 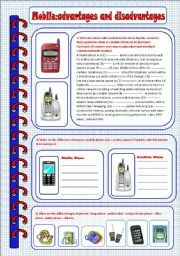 (definition taken from Wikipédia)They list down the differences between the mobile and the cordless phone.They match words together to find the advantages and the disadvantages of the mobile.I´d like to thank Zailda for her nice notebook template. 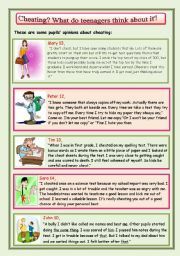 Kids discover what pupils think about cheating by reading different opinions and answering varied comprehension questions. 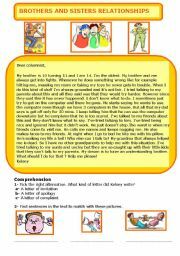 They give advice and tell about the dangers of cheating.They make conditional sentences using the 3 types of the conditional. 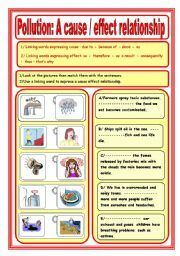 By answering this questionnaire pupils will learn how to save energy sush as water and electricity in their everyday life. The answers are given at the end with some explanations. Starting from a birthday photo pupils are asked to identify the persons on the photo after reading a short paragraph. They´re asked to identify the different things needed for a birthday party. The last exercise consists in writing a birthday invitation or a thanking card.